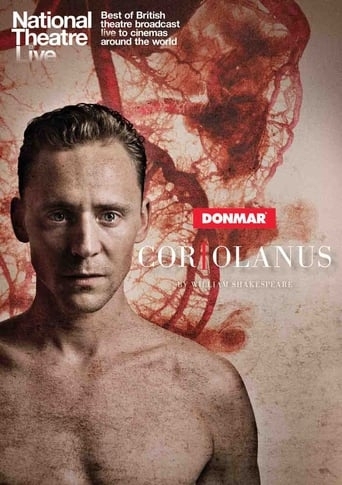 National Theatre Live will broadcast the Donmar Warehouse’s production of Coriolanus, Shakespeare’s searing tragedy of political manipulation and revenge, with Tom Hiddleston (The Avengers, War Horse (film), BBC's The Hollow Crown) in the title role and Mark Gatiss (Season's Greetings at the National Theatre, BBC's Sherlock) as Menenius, directed by the Donmar's Artistic Director Josie Rourke. When an old adversary threatens Rome, the city calls once more on her hero and defender: Coriolanus. But he has enemies at home too. Famine threatens the city, the citizens’ hunger swells to an appetite for change, and on returning from the field Coriolanus must confront the march of realpolitik and the voice of an angry people.